It's safe to say Apple's first (and so far only) smart speaker hasn't exactly been selling like hotcakes since its early 2018 release, at least compared to some of its low-cost rivals from Amazon and Google, but at the same time, it's pretty obvious that the HomePod is generating a lot more revenue than the Echo or Echo Dot. While a $349 list price seems easier to reduce than, say, the $150 normally charged for the Google Home Hub, great HomePod deals aren't happening as often as you'd expect. Discounted by as much as $100 a few times during the holiday season, the Siri-controlled device is currently available for $280 ($70 off list) at Best Buy, which is essentially the lowest price we've seen offered by a reputable retailer for brand-new units of late. 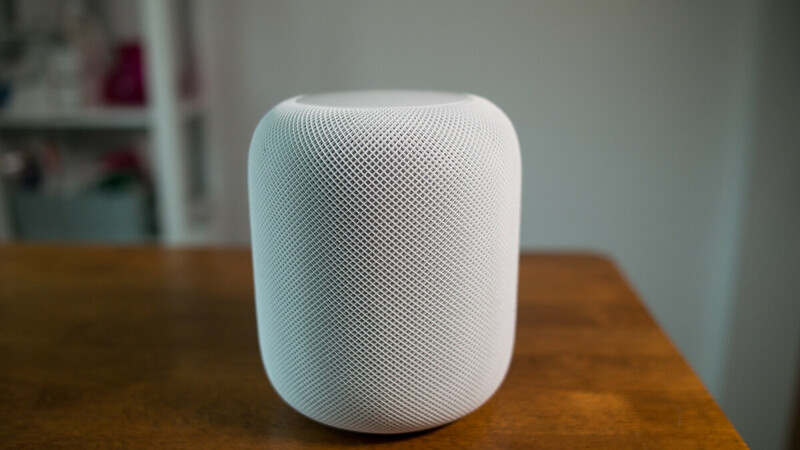 But that's where top-rated eBay seller Quick Ship Electronics comes in, dropping the HomePod down to $233.99 in "new other" condition with a full 1-year warranty included. That's obviously not the same warranty Apple provides with its brand-new or refurbished HomePod stock, but this 99.8 percent positively rated eBay merchant promises to take care of any functionality issues that might arise within a year of your purchase. Needless to say you're also offered free standard nationwide shipping, 30-day returns with full refunds available, and all the "original accessories" in retail packaging that may be "slightly distressed." In case you're wondering, a "new other" Apple HomePod is practically an "open box" device, meaning it was either on display in a retail store somewhere or returned by someone with buyer's remorse that probably didn't get a chance to damage it in any noticeable way. Available in a space gray color only, this undoubtedly premium smart speaker is a whopping $116 cheaper than an all-new unit sold at its full retail price. That's a massive 33 percent discount, not to mention it's 66 bucks cheaper than a refurb offered directly by Apple. It may not get better than this anytime soon, as there's no word on a prospective sequel just yet. Doesn't electronics comes with a minimum warranty of 1 year ? Warranty should always a year. But that sale price is definitely not enough. At $233 USD it is still too much for the HomePod, especially since it's a refurbished HomePod. Plus comparing a Google Home Hub to a HomePod is definitely not a proper comparison. The HomePod is only a speaker, and has no touch screen display. Where as the Google Home Hub is a speaker, and a touch screen display in one device. The Google Home Hub does way more than any smart speaker, and that includes the HomePod. why not to make the title correct and say that the "massive" discount is applicable for a refurbished product. Qnother classic click bait by PA.